Change your pack_format from 1 to 2 in pack.mcmeta. Why is it 1 vs. 2 rather than 1.8 (or just "1") vs. 1.9? And why a blanket incompatibility message? It's not a new format, just some changes to model display/blockstate files. Any pack that focuses on just textures should be compatible with 1.8 and 1.9. If anything, seems like a "model_format" would be a more useful check... or just if a pack is pack_format 1 AND contains models (rather than all pack format 1 packs). I mean, if you're going to break things, break EVERYTHING so we get the benefits. 1.8 was already like a new pack format for any packs using models, requiring a dedicated version (1.7 won't use it the same way). 1.9 will be the same if entity models/GLSL shaders happen to be usable in resource packs... so the only ones losing out are basic packs that wish to offer overarching support of versions... still they can have the 1.8 version that supports mostly everything and then a 1.9 version (or even a 1.9 add-on!) to fix that (plus block/item textures will still be compatible). Is this a temporary stand-in for the versioning system? Really should've included a little PSA about it in the blog post if it's here to stay. Apparently it only checks the version when you initially load minecraft. "2" was the first thing I tried, but it remained red, and "incompatable" until I restared minecraft. EDIT: Note that previous versions of MC do not object to loading a pack of set to "2". Not just the version but the whole pack.mcmeta, it only gets check on initial load, it's a pain when you are trying to lay out some nice coloured text and you have to keep restarting the client. Has anyone exparamented adding "multipart" support to other blocks? I can tell you that it does work. I replaced vines' blockstate with multipart and it worked perfectly. So, I don't suppose anyone here is making an automated way to adjust for the display differences, like a shell script? I mean, I could do a shell script, but I'm not that keen on regular expressions that would probably take to do it. Plus it seems like the scale values have changed a bit (it might just be me, but GUI/item frame display seems like it increased in size WAY less than every other display setting). Unless people can clue me in on regex/rotation+scale+translation offsets (and any division needed, esp. with relation to scale and translation?) and maybe I could cobble something together? Works perfectly fine. I used it briefly on my end portal frame (and it worked), though I did end up removing that since it was not really needed in that case. I would think you are only able to use existing blockstates in multipart. Has the option to disable "alternate blocks" been taken away permanently or is it just temporarily missing? If so, does that mean we have to make our own custom block model/etc. in order to negate it? Writing it out makes it seem much simpler than I thought. HOWEVER this would not even be a full replacement for classic CTM.... since you just have what blocks are present to go by, you can't control them as far as CTM does.... meaning you can't get the stupid corners (the ones with 1 px that confuses just about everyone, any block with 4 connections on it would be the same as the innermost CTM tile). This is easily represented as a 5-px + with a square connecting the ends. As for CTM+multipart? It doesn't make anything possible that wasn't possible before, just might make it easier to do so. A good example for the possibility is probably iron bars/glass panes, or even better yet, redstone. Redstone is a pretty good example since it has the most complicated set of connections. The only way this could be easier is if you could translate/scale multipart models, and if you could so exceptions directly (I don't think there is any way to do this currently.. just carefully laying out how you define the "when" statements). The inclusion of Multipart (at least testing in 15w31c) now allows for editing states that aren't editable with traditional variants (see MC-60242 for details) with the requirement that you entirely use multipart. Yeah, that'll be tedious for something like hoppers where it might work fine with just 1 part model for the "disabled" versions but instead you've got to completely remake the model in multipart. allows you to give a jukebox with record in it.... a model that actually shows the record in it. So, as long as you're using 100% multipart, you can fix the horridly broken tripwires (making the tripwire move like it used to, or make a laser tripwire for sci-fi packs), do leaf decay textures, actual "someone is in that bed" model (really only for servers) and a few other things... well, theoretically... I haven't tested it all yet, so I'm assuming that, barring states not being applied correctly (like dispensers and the "triggered" state) that stuff should work. Uhh, that doesn't make sense.... vanilla uses it, so ability to remove it is gone? I think it's more likely that there was a snag with disabling random models from multipart. Or maybe they accidentally deleted it with the super secret settings button? Hahaha..... I can't really think of a logical explanation on why it'd be removed. Then again, it's the same way with the SSS button. 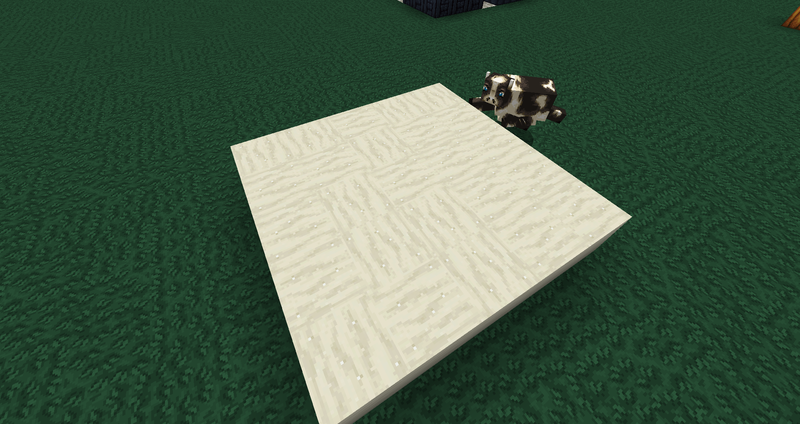 Made simple "CTM" for reeds, different texture if there is no block above. Crashed the texture pack when used with reeds, however works fine when used on the chrous plant, which is aware of adjacent blocks of the same type. Is there some kind of formatting chang, or change in strictness? Some of the custom models i've made with different geometry, such as doors, and trapdoors are reduced to the dreaded magenta and black box. There doesn't seem to be any inheritance issues, they just chain back to JSON in my texture pack. Other custom models i've made work just fine, like the 3d mushrooms. I saw somewhere that //comments aren't allowed, but I don't use those. I don't really have any familiarity with JSON outside of texture packs. Don't you have a text editor with syntax highlighting for .JSON? I use a basic one (Gedit, it's on Linux) and it does it by default (just highlighting, no code collapsing or anything fancy like that). Also, not only does sugarcane not have useful states, it doesn't cull itself either... like mine hide the top/bottom faces perfectly but will only be culled by a solid block. I use comments and have had no issues, sometimes the files can be confusing so comments do make them a little easier to follow. For example, fence_inventory.json in the model directory has comments making the file a little easier to understand. There is highlighting in my editor, but I didn't know what the colors meant. Now I know that grey means "error". He means adding comments by preceding them with two slashes, not comments by using a dummy tag. I've noticed another issue with models in the snapshots. You don't have to provide UV coordinates for each side. Opl's model creator didn't always, but it looked fine in 1.8. However in the snapshots it presumably makes different assumptions about the UV coordinates and the textures are often? always? misaligned. I don't know what the different UV assumptions are based on-- any insight would probably help a lot with repairing my models.